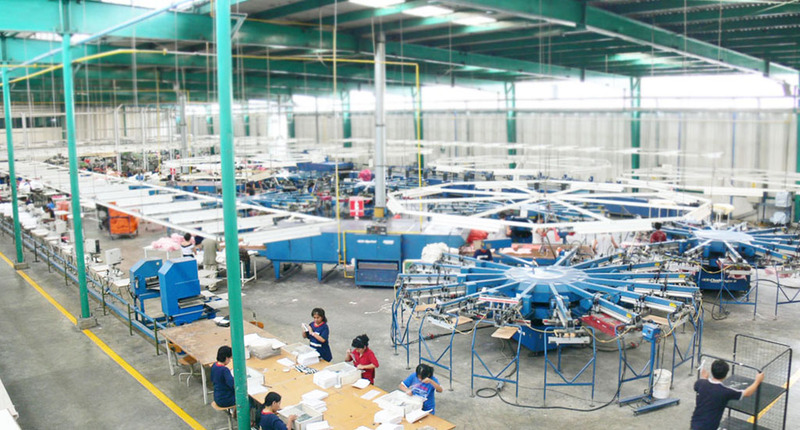 Star Print is the largest company dedicated to embellishing and printing clothing in Peru. The company has built its entire production process on the foundations of modern printing machines, with state-of-the-art mass production technology. For the complimentary embellishing process, our artists painstakingly apply the most exquisite touches requested of our clients, with a dexterity inherited from our artisanal ancestors. system, thus ensuring high color fidelity and the nuances required by each client. The processes of decoration and placement of sequins, performed by hand with great care and precision in the exact times required by our production. This artistic work encompasses further embellishments, such as Transfer, Flocks, Ringstones, Nailheads and Foil. on internationally set quality standards.